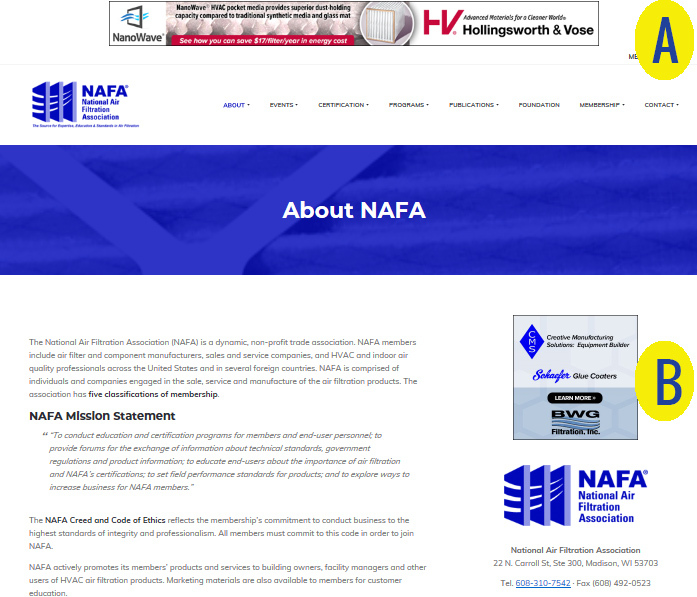 This campaign consists of large horizontal format banner at the top of the page and is nearly run of site on www.nafahq.org. Availability is limited–only 10 offered per year. Does your marketing strategy include website retargeting? In partnership with MultiView, the National Air Filtration Association is offering a limited number of companies the opportunity to retarget visitors from the association’s website. Get your message in front of air filtration professionals as they navigate the internet after they visit the association’s website.